Jeff Glucker January 8, 2018 Comment Now! 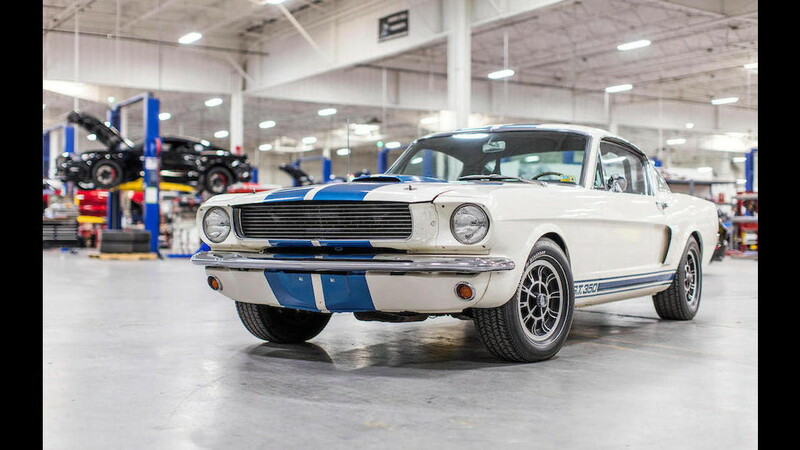 Carroll Shelby's personal GT350H is heading to auction this month. The 1966 example served as Shelby's personal car after trading hands with two prior owners. Now it's for sale through the Bonhams auction January 18 in Scottsdale, Arizona. Shelby cranked out a number of amazing machines over the course of his life. You have your Cobras and Daytona Coupes. There are the GT350 and GT500 Mustangs, and you have a random assortment of small-batch builds along the way. When it came time to put a car in his own garage, Shelby looked at the lineup of vehicles bearing his name and found one that fit. 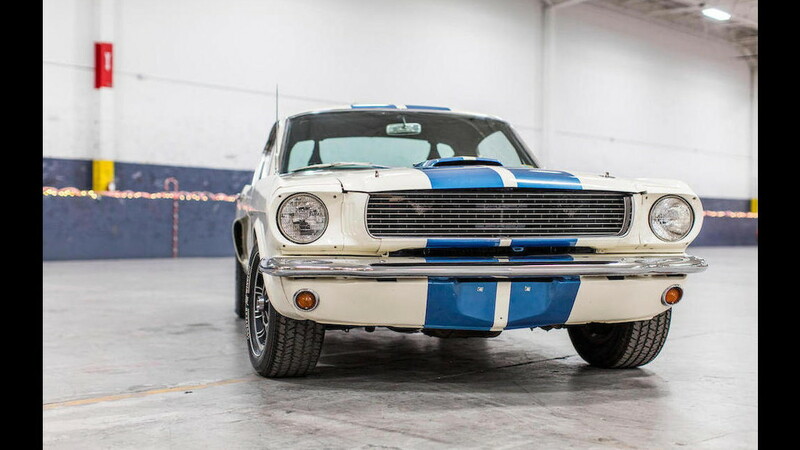 This 1966 Shelby GT350 isn't your standard version of the car. This is the one with the extra little H at the end. That's because it was originally part of the run of cars delivered to various Hertz car rental locations, to serve as a "Rent-A-Racer." That's right. Back in the late 1960s, you could stroll into a Hertz dealership and drive away in a Shelby-tuned Mustang. After its stint as a rental car, this Wimbeldon White with Guardsman Blue stripes GT350H found a new home with a private owner. The car soon traded hands again, this time to an owner who upgraded the car. 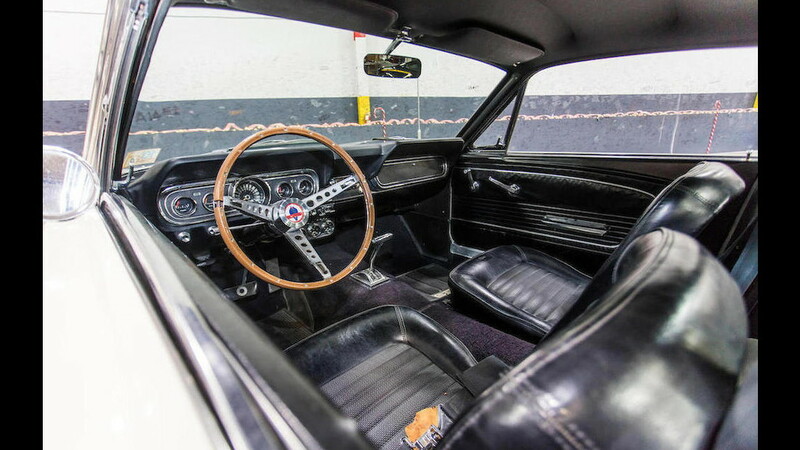 Parts from the upgraded GT350R were bolted on, and they included the wheels, oil pressure and upgraded tach gauges, valve covers, radiator, a roll bar, and a special rear spoiler. Carroll came across the upgraded car and wanted it for himself. 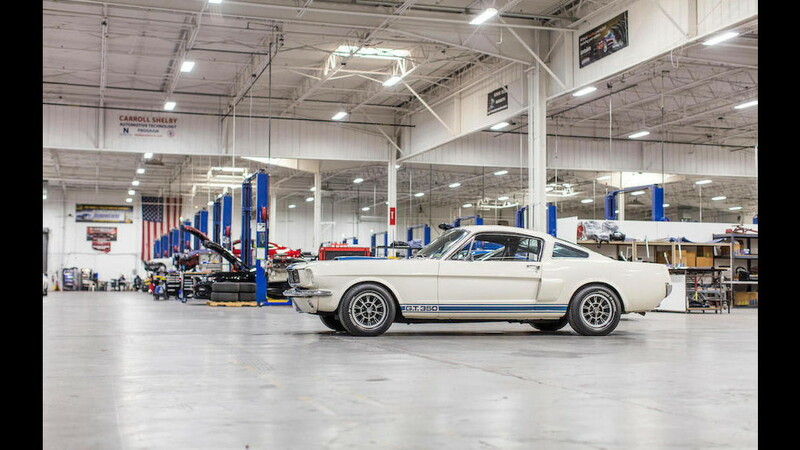 Shelby purchased the vehicle for personal use before handing it over to serve as a display piece at the Shelby Automobiles headquarters in Las Vegas. Now it's heading to Arizona to cross the auction block. 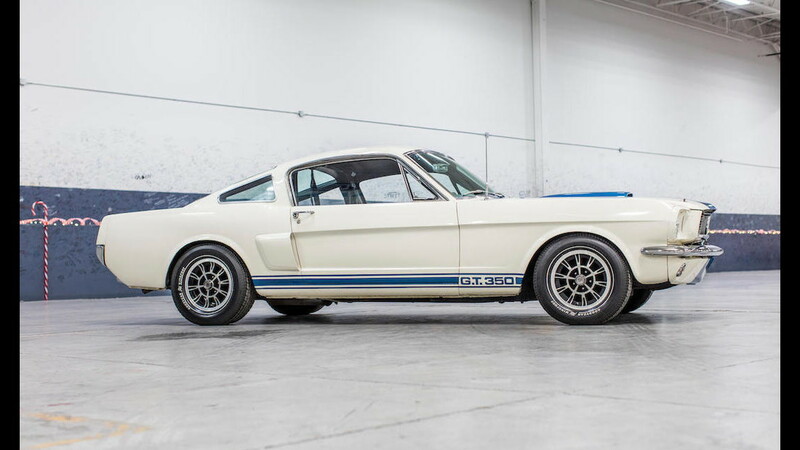 Bonhams expects the GT350H to fetch between $150,000 and $200,000. That's probably a strong bet. Values for the average Shelby GT350 fall in the lower portion of this range. Adding ownership by Carroll himself helps push the price a bit higher but not fantastically so. Regardless, it should make a fantastic collection piece for any serious Shelby fan on the hunt for more muscle in the garage.